Click here to see the example of C break with the switch statement. In such case, it breaks only the inner loop, but not outer loop. As you can see the output on the console, 2 3 is not printed because there is a break statement after printing i==2 and j==2. But 3 1, 3 2 and 3 3 are printed because the break statement is used to break the inner loop only. 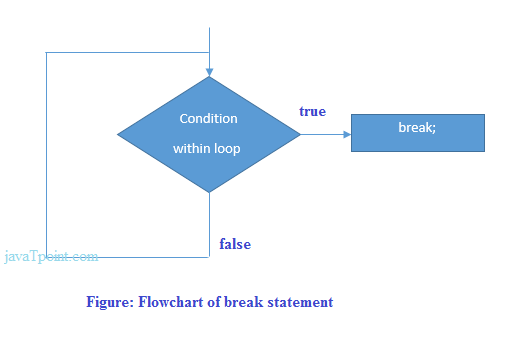 Consider the following example to use break statement inside while loop. Consider the following example to use the break statement with a do-while loop.